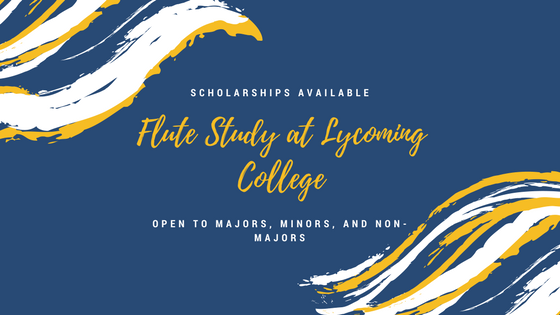 The Lycoming College Music Department offers flexible options for students to continue to participate in music throughout their college career, whether as a field of study or simply for personal enrichment. Applied lessons are available to music majors, music minors, and non-majors. All students may also participate in large ensembles and/or flute ensemble. For more information on studying music at Lycoming College, visit the Music Department website. Scholarships are also available to any student who participates in music ensembles.